After over three decades of work in cholera research, REACH researcher Dr. Md. SirajuI Islam has been recognised by the Bangladesh Academy of Sciences, the leading scientific organisation in Bangladesh. Dr. Islam received a gold medal from the Honourable Prime Minister of Bangladesh Sheikh Hasina on 20 April at a special ceremony at Osmani Auditorium in Dhaka. The award is given annually to researchers in recognition of outstanding achievements in the advancement of science. He has also been elected as a Fellow of the Academy. An environmental microbiologist, Dr. Islam was instrumental in the discovery of blue-green algae as a reservoir of the cholera bacteria in the early 1990s. This discovery allowed Dr. Islam and other researchers at icddr,b and similar organisations to find new avenues of investigation to control cholera and other waterborne diseases across the world. Dr. Islam has continued his research on the eradication and control of waterborne diarrhoeal diseases: one of his recent innovations is the development of the Siraj Mixture, a cost effective combination of alum potash, bleaching powder and lime powder that can purify 15 litres of water within half an hour. Dr. Islam obtained his PhD from the London School of Hygiene and Tropical Medicine in the UK on environmental disease transmission in the mid 1980s. As an internationally renowned microbiologist, he has made significant contributions to icddr,b’s global emergency responses in various African countries, Pakistan, Nepal and Haiti. 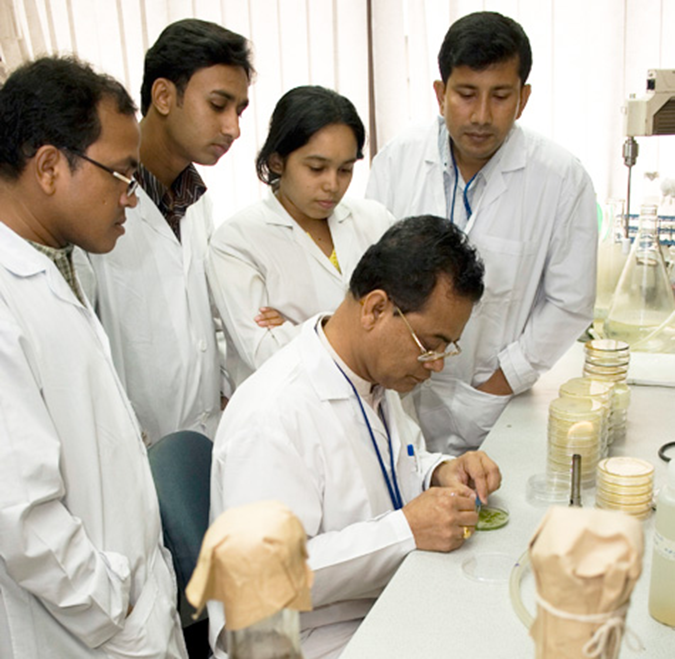 During his missions to cholera-prone countries Dr. Islam assisted health ministry departments and helped increase capacity of health officials, microbiologists and laboratory technicians by training them in sample isolation, diagnostic methods and techniques so that at-risk countries are prepared during epidemic outbreaks in the future. Dr. Islam also serves as Visiting Professor of Louisville University, Kentucky in the USA, Kyushu University in Japan, Northumbria University in the UK and Catholic University in Mozambique. On receiving the award Dr. Islam thanked his colleagues at icddr,b and collaborating institutions: ‘My colleagues have been incredibly supportive and have inspired me over the years.’ He also expressed his hope to motivate and inspire a new generation of researchers to build their careers in public health. This article originally appeared on the icddr,b website.